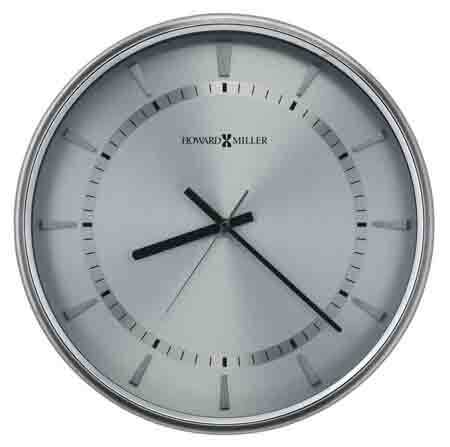 Howard Miller 625-690 Chronos Watch Dial III has a sophisticated wall clock dial that is inspired by the time-honored, sleek design of a formal wrist-watch. 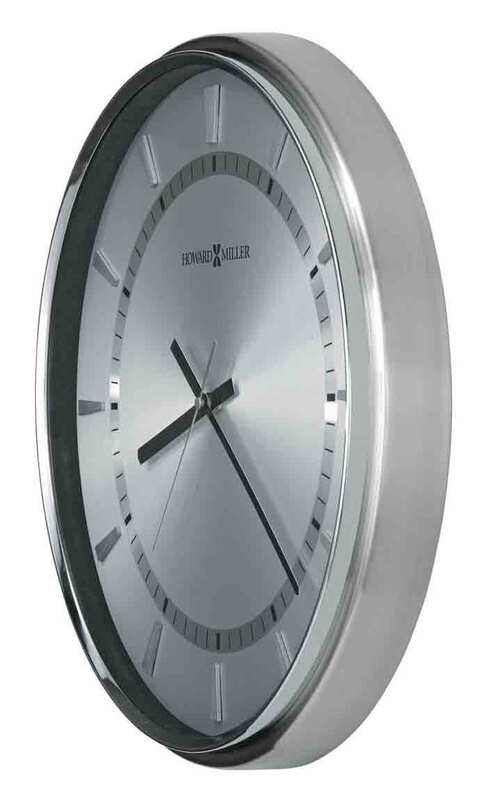 The 16" diameter circular spun silver-finished metal case frames the circular spun satin silver finished dial which has applied, satin silver-finished, tapered bar style hour markers and a bright silver-finished inner ring with black minute track. 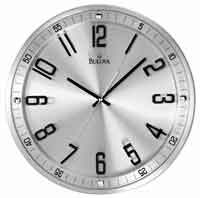 The black hour and minute hands and silver-finished seconds hand are protected by a glass crystal. 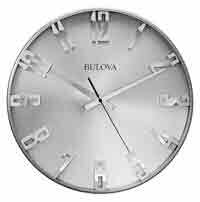 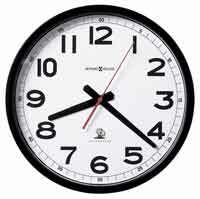 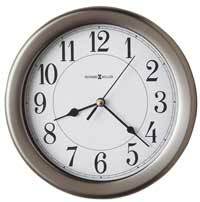 Clocks for sale at The Clock Depot including the 625-690 at discount prices.